Samsung has just revealed another innovative product, a gaming monitor this time. 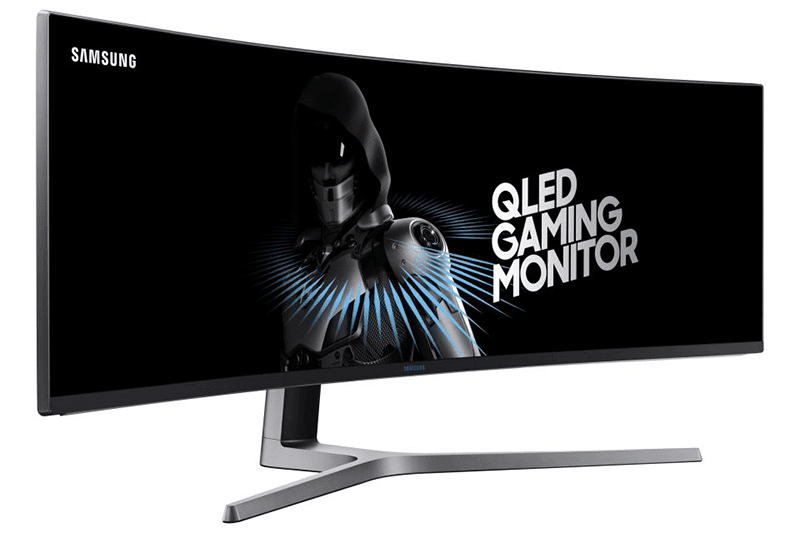 Dubbed as the Samsung CHG90, it's the widest curved gaming monitor yet. It's a 48 inch insanely wide QLED screen with 3840 x 1080 pixels and has an aspect ratio of 32:9! It has Samsung's renowned QLED Quantum Dot technology for better colors and very deep blacks. The Samsung CHG90 is also HDR10 standard ready and works with AMD's FreeSync 2 offering a 1 millisecond response time and a 144 Hz refresh rate. The curved gaming monitor also packs a two HDMI ports, Mini DisplayPort, DisplayPort, and three USB 3.0 ports for connectivity. "Gamers want to feel completely immersed when they play, and our new monitors provide the most stunning visuals to deliver the ultimate gaming experience," said Andrew Sivori, VP, Product Marketing at Samsung Electronics America. "These QLED gaming monitors represent the future of gaming for both casual and dedicated players alike, and we’re confident that our innovative design and state-of-the-art features will enhance the entire gaming arena." The monitor is has a price that starts at USD 1,499 or roughly around PHP 75K. That's quite expensive for a monitor, but if you want the widest of them all, this could be a must consider offering.